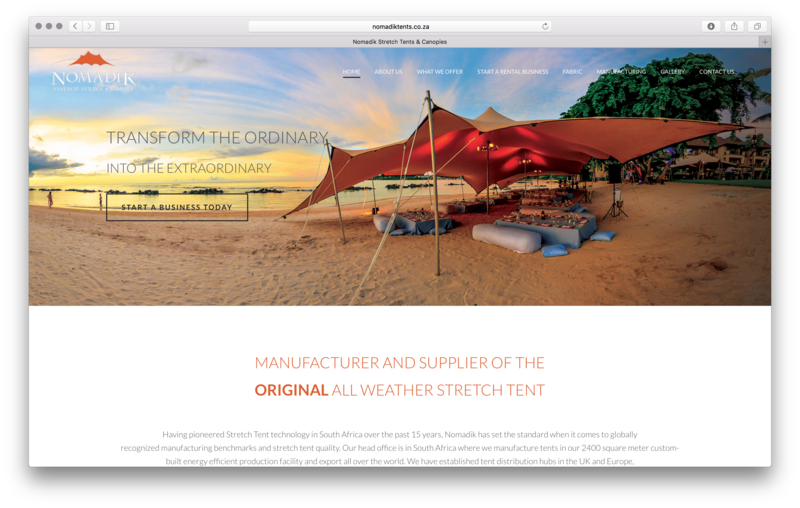 Nomadik Stretch Tents is the fore-runner of stretch tent technology in South Africa, and it’s making headway as being THE stretch tent provider in many parts of the world. 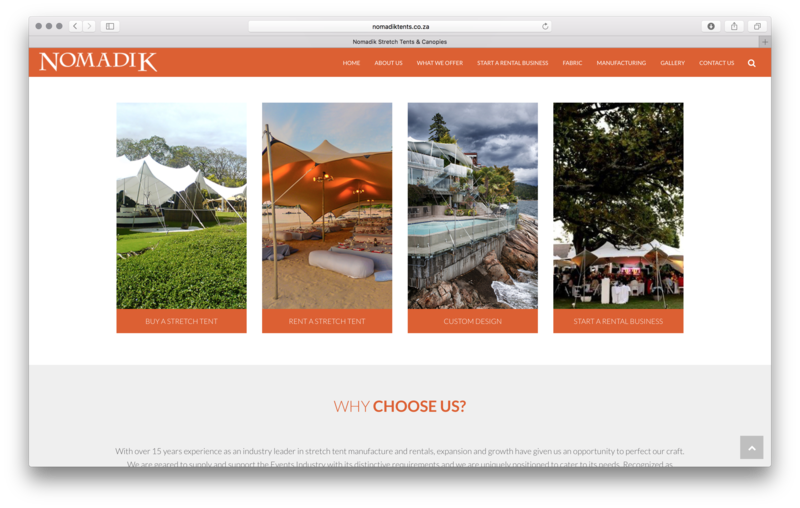 We were tasked with redesigning their existing website to change their focus from a South African rental market to an international business market. We currently work on the original Nomadik Brand as well as their subsidiary company Vision Tents.